Home Encouraging You Can Do This! Someone at sometime has said these words to you. What are they referring to when they say ‘this’ ?What does this person actually mean, what are they talking about? It’s all about ‘courage’, and courage is exactly what you need when you really want to get something done. The word courage represents a lot of things because there are so many emotions attached to it. To hold onto courage is also about being able to trust yourself. Respect and self worth also get involved when courage comes to the forefront. Each one of these sentiments play a crucial role when it comes to your Soul Work. When the Soul nudges, you know it. The symptoms are numerous and the ‘feeling’s inside just won’t go away. The Ego amps up the drama because when the Soul is pushing you to grow, the Ego starts to panic. Your mind won’t stop talking and all of what it has to say is utter garbage and so not true, but it manages to get you hooked in and that is when the anguish kind of feelings start to take over you. The Ego loves to lock you into self sabotage. Thoughts swirl around your head – everything is my fault, there is something wrong with me, I know they are talking about me, I just have to do better, I wish I could just be normal…….none of that is the truth about ‘you’, everything that goes on in your head is a lie. Your Ego is a big ball of negative energy that represents all of what you have been programmed to believe about yourself, the whole of your life. Your Soul, on the other hand is the pure and sweet essence of who you really are and how you represent the Truth of what makes you unique. When your Soul nudges you to grow it is because it is time to evolve, it is time to let go of what you have been so conditioned to believe about yourself, it is time for you to move closer to your Authentic Self. Your ‘Self’ is asking you to make a commitment, so you can get down to the beautiful business of elevating your energy. Why do we need to elevate, what is all this talk about evolving? Explaining how ‘Soul Work’ actually works and what exactly is involved in evolving our Soul might sound very complicated, but it really is not. Once you decide to make a commitment to yourself, that commitment means you really do want to take better care of ‘you’. If you have ever thought of yourself as a ‘people pleaser, a giver, a healer, a ‘yes’ person or someone who thinks of everyone else before you,, then rest be sured you have neglected to take care of yourself somewhere along the line. Grooming the outside of who we are is something very, very different than grooming the inside of who we are. We might know how to nurture our physical body and our appearance, but nurturing our Soul isn’t so easy, sometimes what we can’t see we don’t know how to love. When the scales get ridiculously unbalanced, that is when the Soul begins to poke at us. The poking is to get our attention to detail and it is time to get to work. No more making excuses, which is only your Ego anyway. 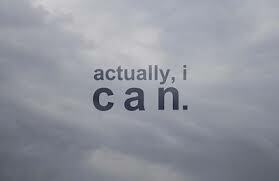 You can do this, don’t ever think you can’t. Put on your Warrior suit, let the Universe know you are ready and let the fun stuff begin. It might be a good idea to find a Mentor, someone you can trust (and be careful, there are very few people in this World that can be trusted in the way you need) someone who will say ‘I get it’ and ‘there is wisdom to be shared’. Working with your Soul can get really tough, I’m not going to lie, but getting to the truth of anything is never easy work. But, guess what, ‘you can do this’! !